Get a head start with reading! This bright and child-friendly book uses simple activities and cheerful illustrations to help children build up first literacy skills at home. 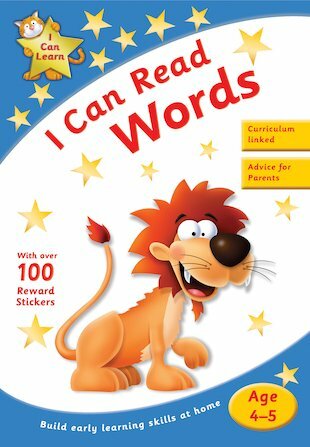 Packed with exciting ways to recognise and practise essential words, it links to the school curriculum, paving the way for future success. The book includes full-colour artwork and lots of cute cartoon illustrations, over 100 golden reward stickers and advice for parents.